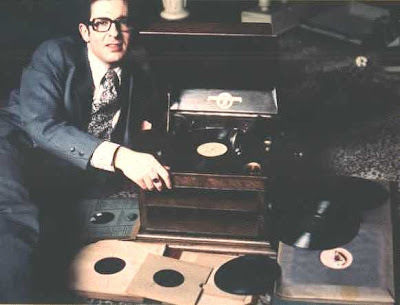 Earl Okin has produced another of his Gramophone Shows using his own recording abilities for the second time. LittleSmasher began by producing two interview based shows for Earl and has come up with a plan to make Earl become self-sufficient in podcasting. LittleSmasher is now controlling the uploading of the mp3 files, the rss feed generation and the administration of his blog, earlokin.blogspot.com. A third 'Gramophone Show' is ready to be released and will be available in June. LittleSmasher is advising on timings and potential 'podfade' issues. Earl is improving the sound quality of his presenter links with every show and has demonstrated that even with basic equipment you can get a regular show up and running and accessible to your audience.